When you need roof repair or a new roof in Bradley County, TN, look no further than Burell Built Exteriors! From residential roof repair to large-scale commercial projects, our skilled contractors do it all. For professional service from a roofing company in Bradley County, TN, call (865) 385-6926 today. From residential roofs to commercial roof systems, our roofers can help you with any roof. No matter which problem your roof is experiencing, we will use our decades of roofing knowledge to quickly address and fix the issue. When you have a critical leak or storm damage, contact us right away at (865) 385-6926 for emergency repair. 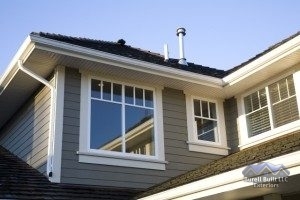 If you need gutter or window repair, we can help with those too! If you want a reliable roofing company in Bradley County, TN choose Burell Built Exteriors, family owned and operated!